Tiffany Pfeiffer’s first jazz recording, “Stampede of Love”, is a departure from her original soul-infused, piano driven indie grooves and ballads, but a return home to a vocal style that has always felt her own. Along with some of Vermont’s most innovative jazz musicians, old standards become new again on this 5-song EP that is sure to remain in your rotation for a while. Recorded at Burlington’s Signal Kitchen in summer 2015, the energy is electric and speaks to the urgency for love felt in today’s rapidly evolving world. 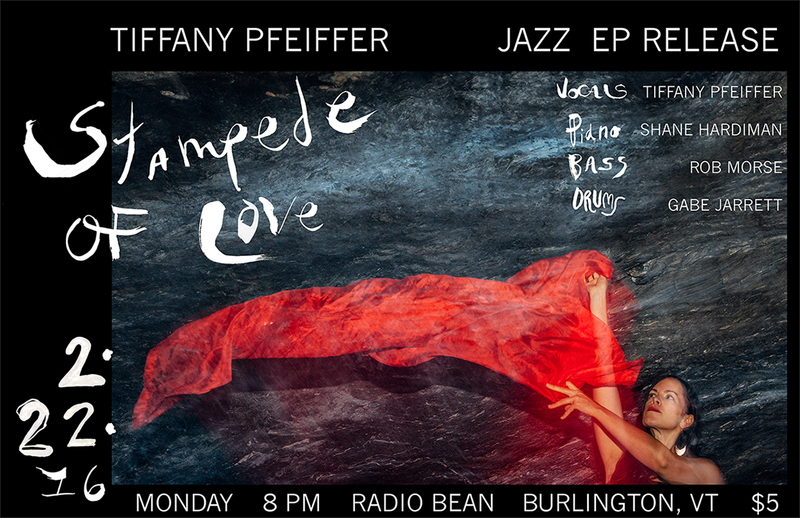 “Stampede of Love” will be released on 2.22.16 at the Radio Bean in Burlington, and on online outlets everywhere. 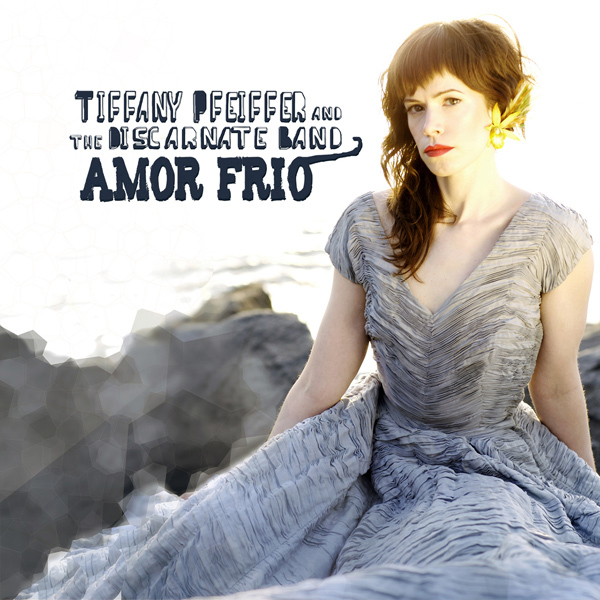 Digital Download and CD available now on CD Baby! 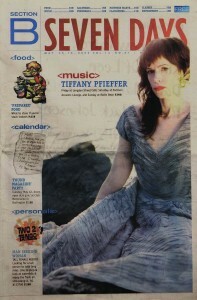 Tiffany Pfeiffer featured in Seven Days!